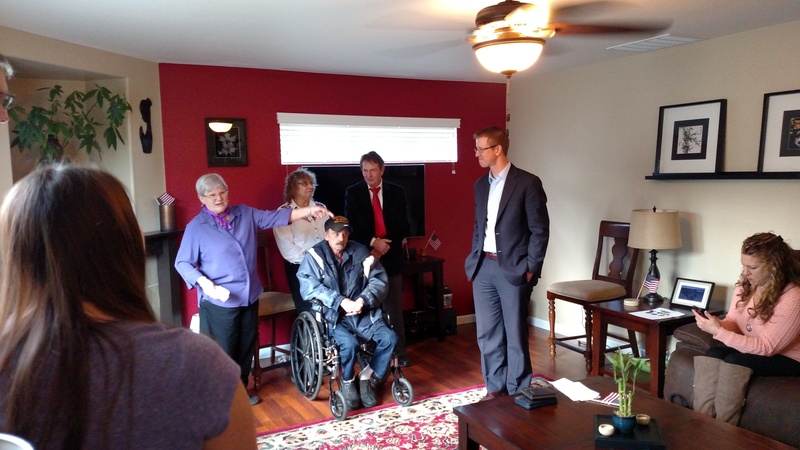 I’ve looked forward to this day for almost eight months since I was told of Butch’s plight by my fellow Key Peninsula Veteran Christine Copeland. She is Best Friends for Life (BFL is one step above BFF) with Butch’s daughter Carol who was born while he was in-country in December 1968. Representative Derek Kilmer, who helped prod the Air Force Board of Corrections into disgorging my long overdue medals, immediately stepped up to the plate and worked miracles for us. 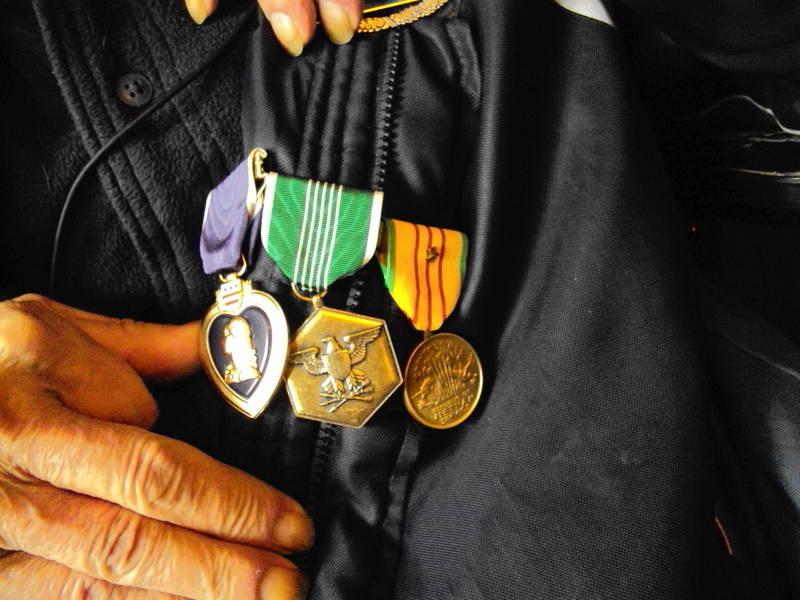 Once we were armed with the correct names of the KHA (Killed by Hostile Action and now abbreviated as KIA) that night, it was easy to prove that Butch not only was entitled to his Purple Heart but the Combat Infantryman’s Badge (CIB) as well. Sadly, voices from the grave often speak louder and more forcefully when proof of valor is required. This was true of 2nd Lt. Barry Kellenbenz and PFC David Balzarini on that night. The US Army wasn’t going to award this on a grin and a handshake. 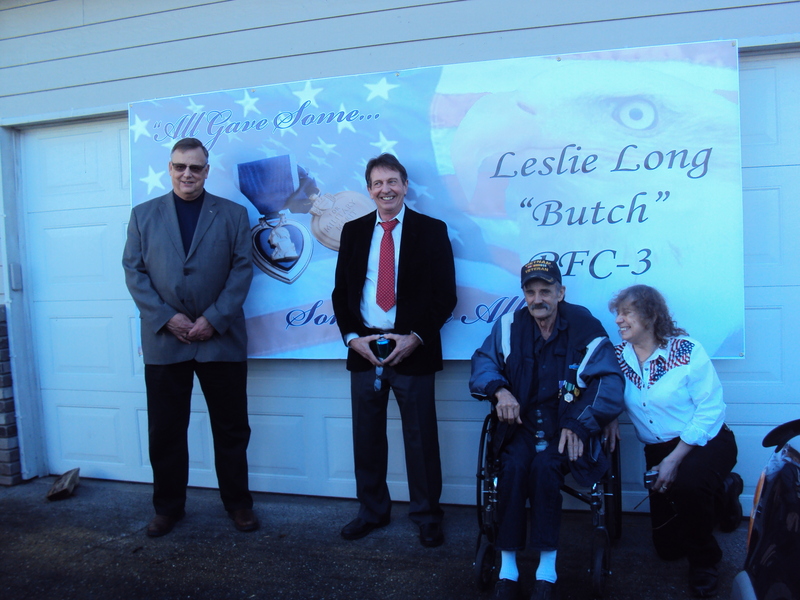 Above from left to right: Steve Vermillion, Alex Graham, Butch Long and Christine Copeland (all Veterans). It all came together yesterday afternoon among family and close friends in Puyallup Washington. Shortly after two o’clock, Rep. Kilmer pinned on the CIB, the Purple Heart, his Army Commendation Medal and the Vietnam Service Medal. His daughter Carol pinned the Vietnam Campaign Medal and the Cross of Gallantry with Palm Unit citation on his right breast. As the Republic of Vietnam is no longer in existence, I suspect the US Government doesn’t cotton to it’s elected congressional members awarding medals that antagonize the present Democratic Republic of Vietnam. Whatever the case, it’s a long overdue celebration of one of America’s heroes. 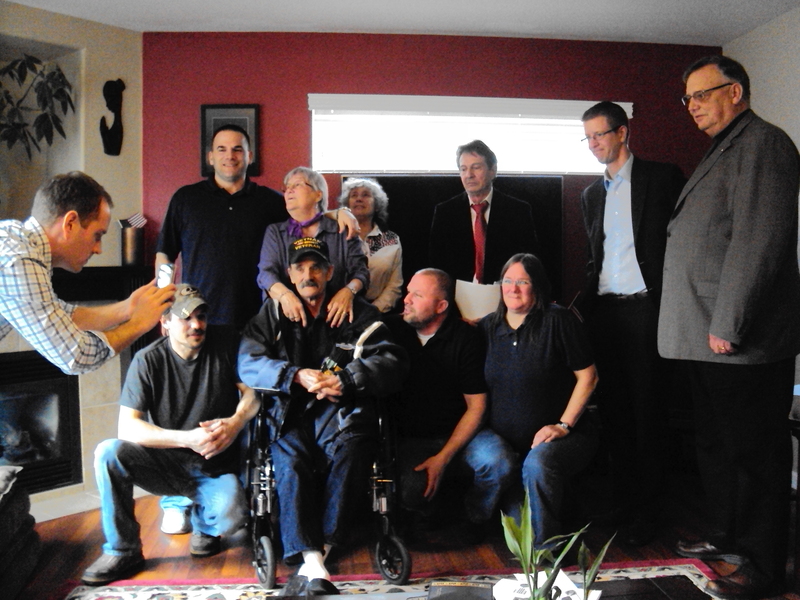 Above: Butch and family gathered around him. I also delivered all your donations for Butch’s new upper dentures which were inadvertently tossed in the trash during his ICU visit over Thanksgiving week. Nick Carr, Representative Kilmer’s assistant for all things VA, found Butch a denture clinic who offered to do it for $500 dollars. Oddly enough the contribution came to $510.00 so he has enough to buy a steak dinner at Applebee’s after he’s armored up. Jeri Berlanga of the Parkland Denture Center was the outfit who generously offered to do this at far below cost. Apparently they have done so in the past under similar circumstances. This speaks volumes to their commitment to Veterans. 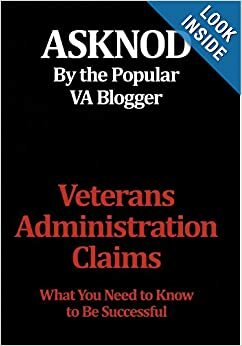 We still have a long way to go to get Butch his deserved VA compensation but we’re running into flak trying to get his claims file. It’s difficult to fight for your entitlement in a game of Indian Poker where you don’t know VA’s hole cards. I also wish to thank Steve Vermillion (Dustoff 40) for his presence at the ceremony representing all our Air Evac personnel who so bravely risked their lives to get the Butch’s of that war to prompt medical attention that fateful night. Yesterday’s actions represent how my Band of Brothers from the Vietnam War choose to honor and empower our own wounded warriors. We do it hands-on rather than to hand them off to other agencies. This is as it should be. We’re all in this together. No one is more or less entitled by their rank-be it officer or enlisted. Thank you -all of you- from the bottom of my heart for your outpouring of support for Butch and a special thanks to Bob Lockett for shining so much light on what transpired that night 46 years ago. Seems he doesn’t have any trouble remembering which chopper he was in or where he was when the balloon went up January 18th, 1969. A special thank you also goes out to Shawn Kequom for her legal firm’s donation to the Key Peninsula Bischoff Food Bank, too. Left to Right: Barbara Long, Christine Copeland, Butch Long, Alex Graham and Representative Derek Kilmer. This entry was posted in All about Veterans, From the footlocker, Inspirational Veterans, KP Veterans, Vietnam War history and tagged ASKNOD BOOK, asknod.org, asknod@wordpress.com, Disabled Veteran, DIY vA Claims, HCVETS, Help with vA Claims, Helping Veterans, Inspirational Veterans, Service Connection, VA claims, Veterans Benefits, Veterans claims help, Vietnam Veterans Claims Help.. Bookmark the permalink. Your Welcome, Tell Butch He is a Real Hero. How did you make that heart? I’ve been trying to figure out how to put in icons! 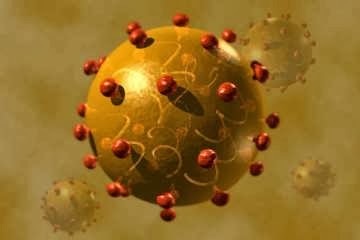 Way Cool, This is what Real WWP looks like.